Wondershare MobileTrans serial license key giveaway. Normal price this software is $39.95 per license key. Available 500 free copies everyday during giveaway periods. The free genuine serial key for MobileTrans is available on a limited time only. Wondershare MobileTrans you must have tools to migrate phone data. It help you copy data between phone to phone. It useful tools to transfer data from old phone to your new phone easily. Requires just one clicks to transfer contact, music, video, apps and other data. This Wondershare software support mobile phone with Symbian, Android, and iOS operating system. If you are interested to get one free genuine license key for the software. Please follow the instructions below. Share the page on twitter or Facebook to unlock registration page. Fill up the online form. Just enter name and valid email then click on “Get it Free” to submit the form. You’ll receive download link and MobileTrans serial license key via email. Or you can download the installer from this link. Work with over 2000 type of phone/smartphone/tablet with Android, Symbian, iOS phone operating system based. Transfers content between different networks. 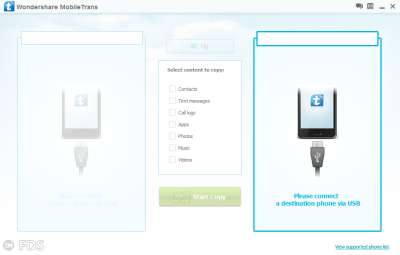 MobileTrans is recommended Wondershare software to transfer data between different phone types. This software support for Windows XP up-to Windows 10. After giveaway above expires, you can use coupon code to buy Wondershare MobileTrans license key. Get 25% discount while purchasing this software using coupon. Use this offer if you miss the giveaway Wondershare MobileTrans license key above. The buy link with coupon discount embedded. Buy this software on a cheapest price by using the coupon discount code.